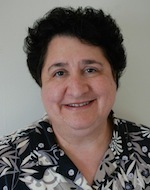 Evelyn D. Asch is the co-author of Mission and Money (2010). She is Research Coordinator at the Institute for Policy Research at Northwestern University. She has also taught research and writing in the humanities and social sciences at Loyola University Chicago, DePaul University, and Shimer College.